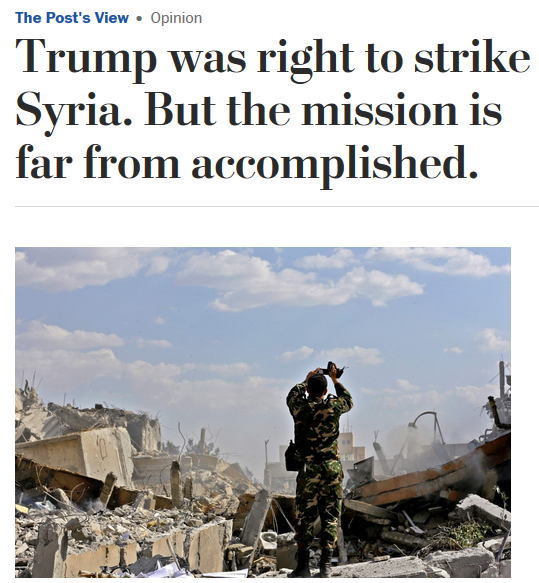 A survey by FAIR of the top 100 papers in the US by circulation found not a single editorial board opposed to Trump’s April 13 airstrikes on Syria. Twenty supported the strikes, while six were ambiguous as to whether or not the bombing was advisable. The remaining 74 issued no opinion about Trump’s latest escalation of the Syrian war. 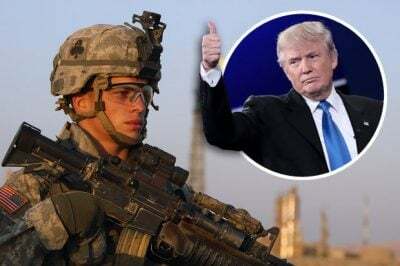 Seven of the top 10 newspapers by circulation—USA Today,Wall Street Journal, Los Angeles Times, New York Post,Chicago Tribune, Newsday and Washington Post—supported the airstrikes. The New York Daily News and San Jose Mercury News offered no opinion, while the New York Times (4/13/18) was ambiguous—mostly lamenting the lack of congressional approval, but not saying that this meant the strikes were illegal or unwise. “Legislation should…set limits on a president’s ability to wage war against states like Syria,” is the Times’ conclusion. A complete list of editorials on the airstrikes can be viewed here.